Ford may be an American car company, but it doesn’t sell every model it makes in the United States. 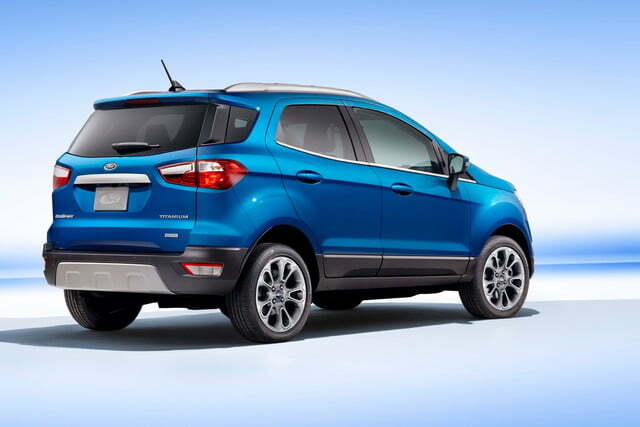 Since 2003, one of the holdouts has been the EcoSport, a mini SUV sold in South America, China, and Asia, but not here. That’s about to change, though. 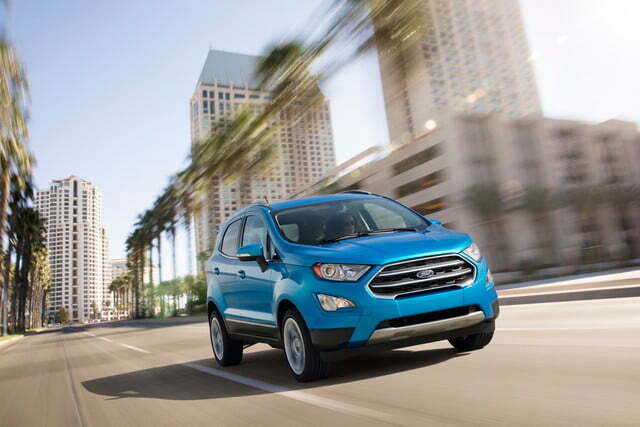 The EcoSport made its North American debut at the 2016 Los Angeles Auto Show, and will go on sale here in “early 2018,” according to Ford. 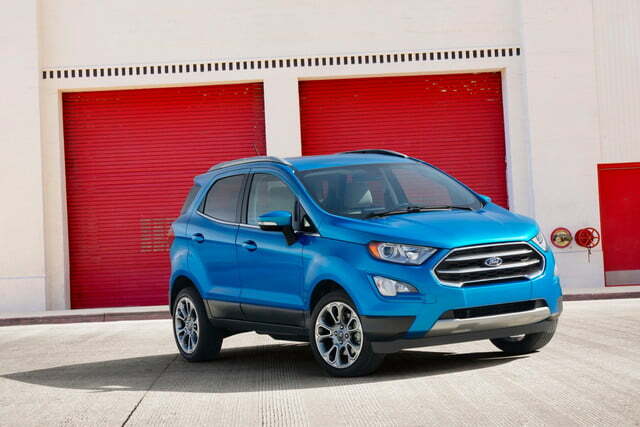 The version to be sold in North America will be an updated version of the second-generation EcoSport that has been available in other parts of the world since 2012. 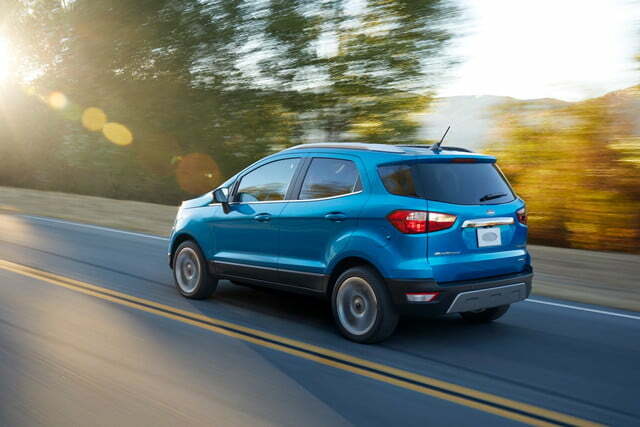 The EcoSport is much smaller than the current Ford Escape, giving the Blue Oval an entry into the burgeoning subcompact crossover segment that includes models like the Chevrolet Trax, Honda HR-V, and Mazda CX-3. 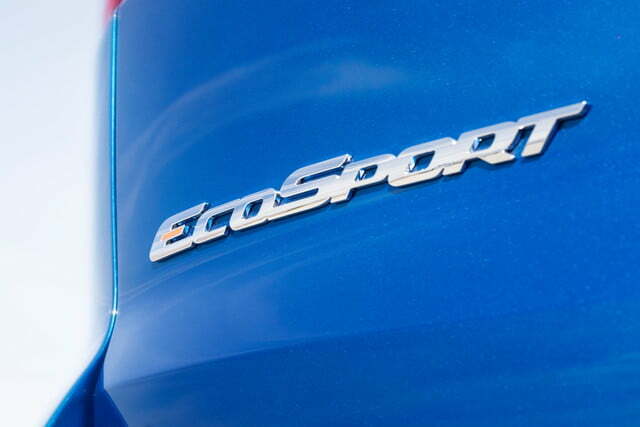 Just as the larger Escape is based on the Focus compact, the EcoSport is based on the Fiesta subcompact. 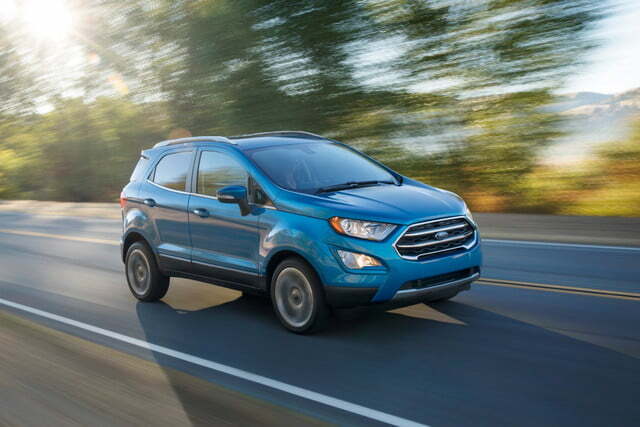 Styling is a case of “honey, I shrunk the Escape.” The grille and headlights bear a familial resemblance to the larger Ford and, like the Escape, the overall shape isn’t as boxy as a traditional SUV, but isn’t as sleek as a car, either. 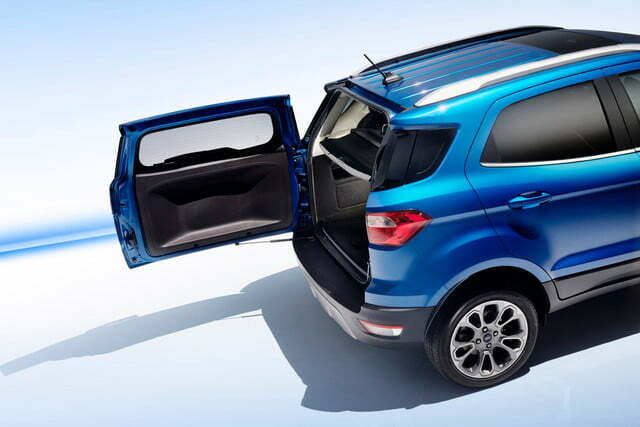 The EcoSport features a swing-gate-style tailgate rather than the roof-hinged versions offered on most other crossovers. 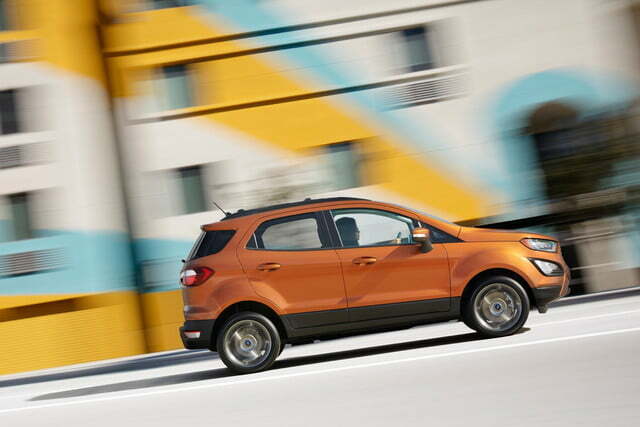 This roof-hinged style accommodated a tailgate-mounted spare tire, an old-school feature Ford no longer offers on the EcoSport. 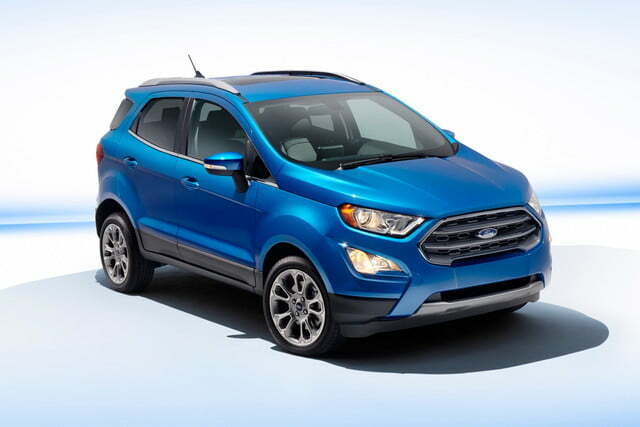 In the U.S., the EcoSport will be offered with a 2.0-liter four-cylinder engine, or the 1.0-liter turbocharged EcoBoost three-cylinder engine already used in the Fiesta and Focus. Both engines will be paired with six-speed automatic transmissions, and all-wheel drive will be standard with the 2.0-liter unit. 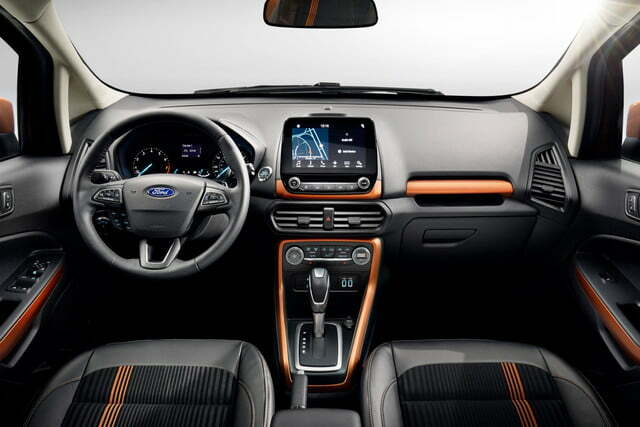 The EcoSport will be available with Ford’s Sync 3 infotainment system, which features an 8-inch touchscreen display and Apple CarPlay and Android Auto compatibility. 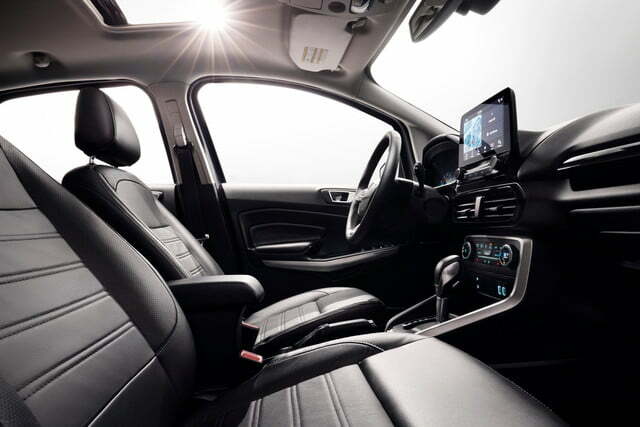 A 10-speaker B&O Play audio system will also come standard on the top Titanium trim level. 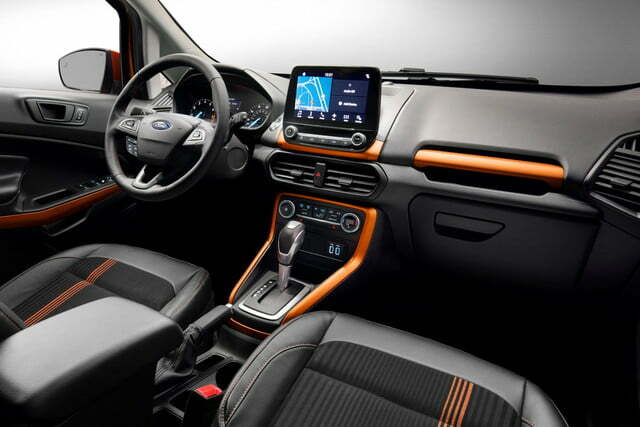 it’s one of the first products of a partnership between Ford and B&O Play parent Harman announced in September. Given the EcoSport’s scheduled 2018 arrival in dealerships, it’ll be a while before anyone can test out the fancy system.